These are my favourite choices for the very best 8inch studio monitor speakers right now. 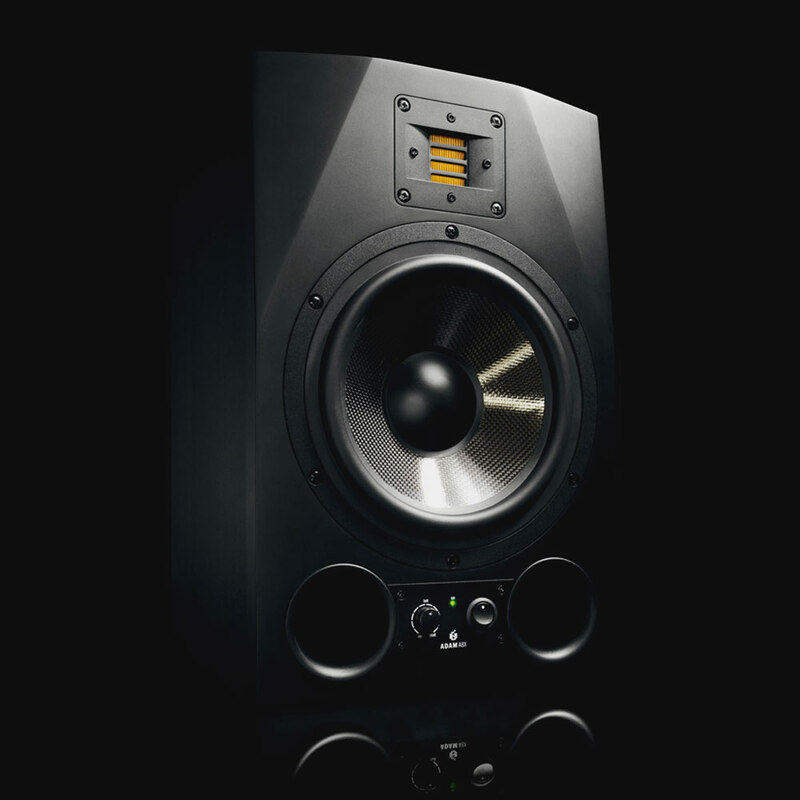 We tweak our mixes based on what we hear, so it’s important to use the very best speakers. 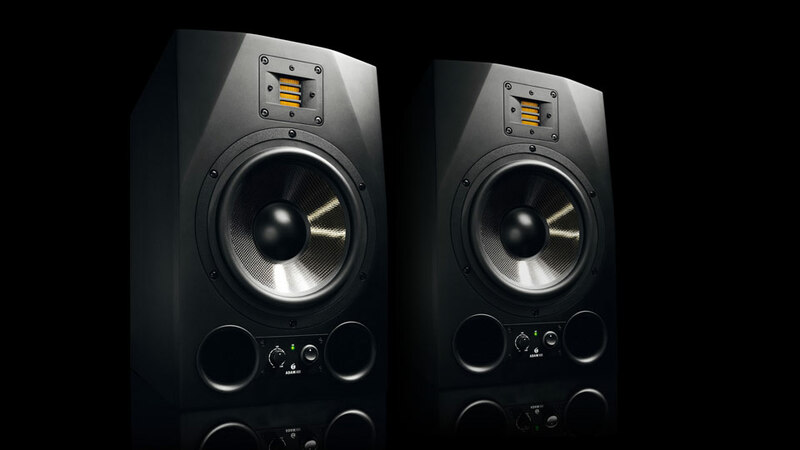 In the studio, monitor speakers are preferred as they are designed to be flat, full range and don’t colour the sound. 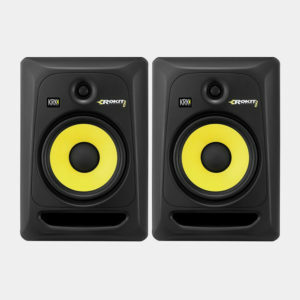 Larger monitors are better as smaller 5 or 6 inch speakers don’t cut it for modern mixing or need a additional sub. 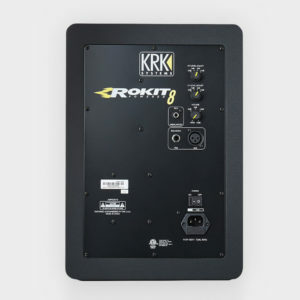 They include amplifiers unlike hi-fi systems all you need is an audio interface to control and drive them from your computer. 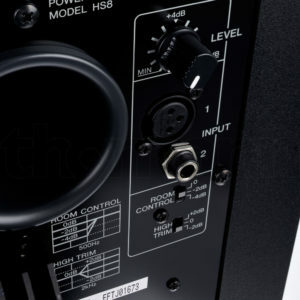 Most connect with RCA, XLR or TRS connectors & most have a few options to choose from depending on your setup. I’ve included a range of prices to suit most budgets but all represent the best offerings available. You’ll be able to compare the specs with ease as they’re arranged into a standard format. 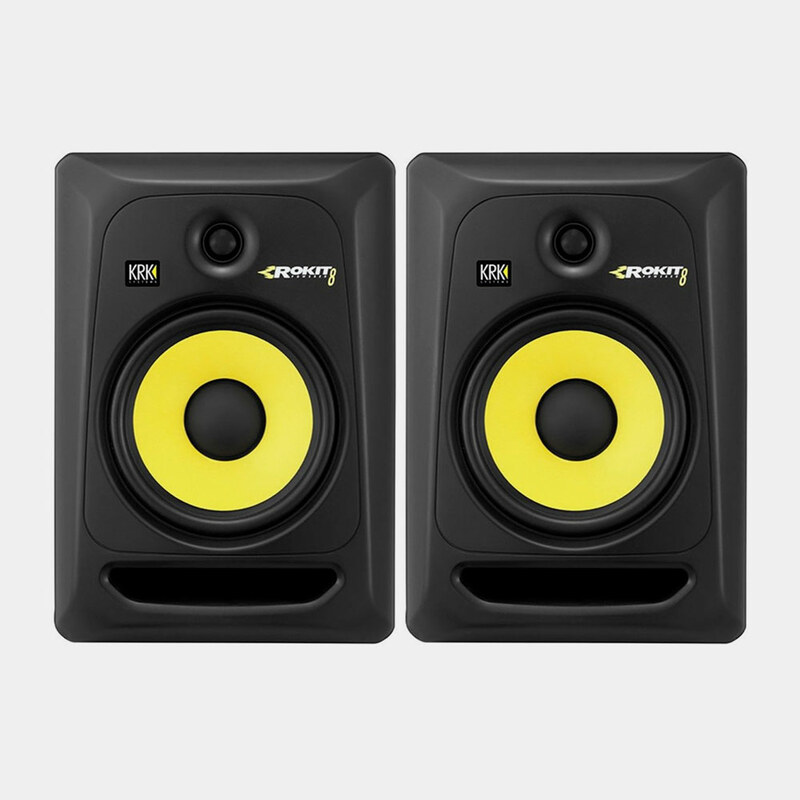 Speaker stands and other accessories should be considered when budgeting for a pair of studio monitor speakers. 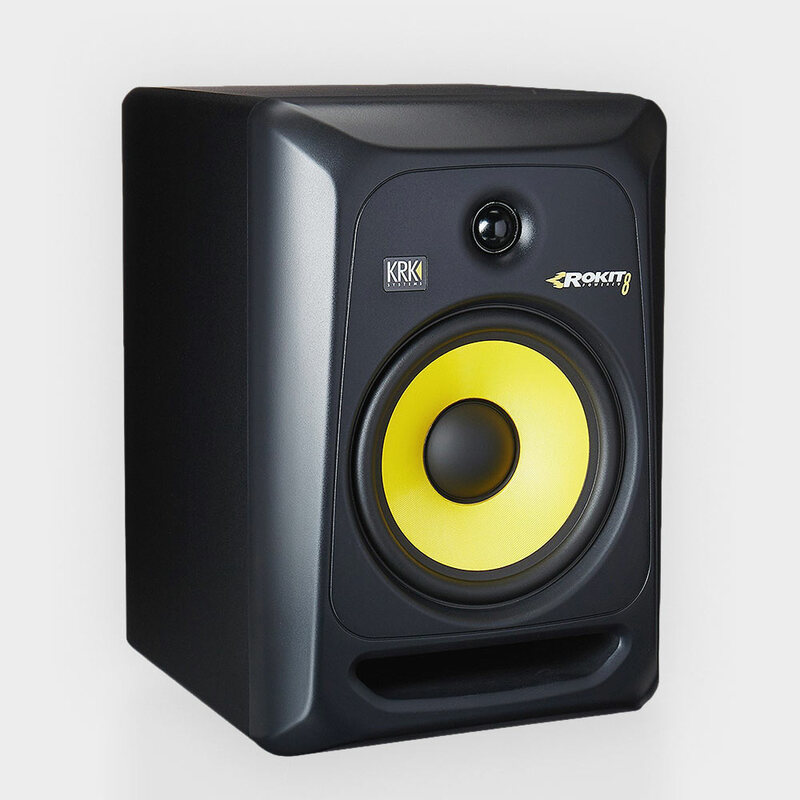 There is no point buying such accurate monitors and not get the best out of them. 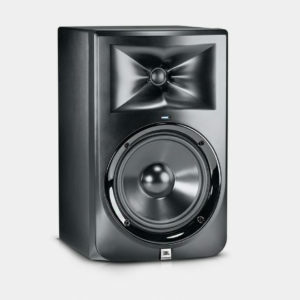 JBL are renowned for their high-end studio monitors. 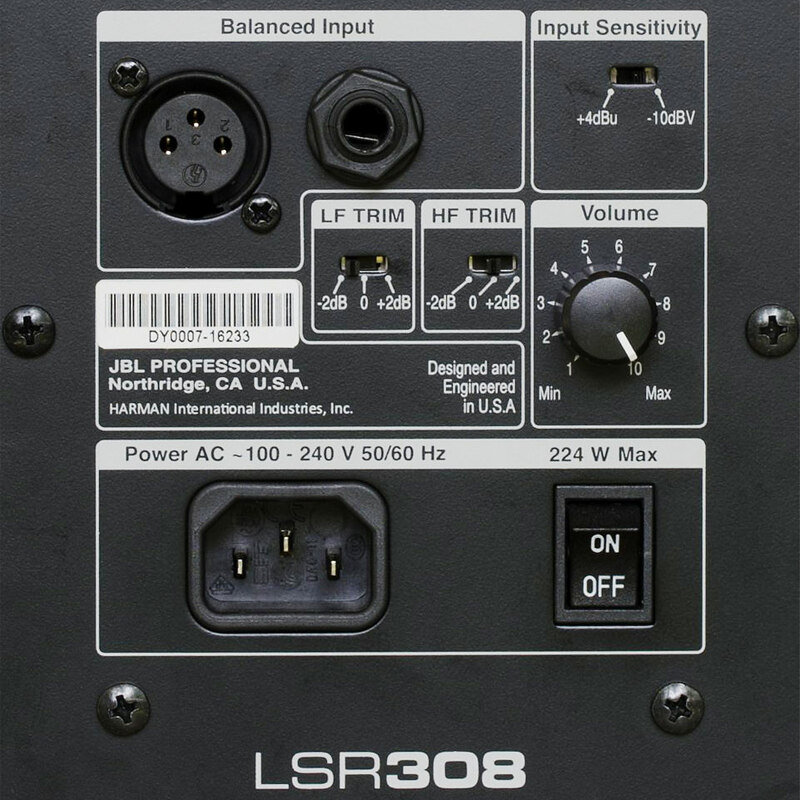 They tend to included technology from higher up their range and the 308s are no exception. The Image Control Waveguide comes from it’s M2 range and helps time align to the woofer with a 1” Soft-Dome tweeter. 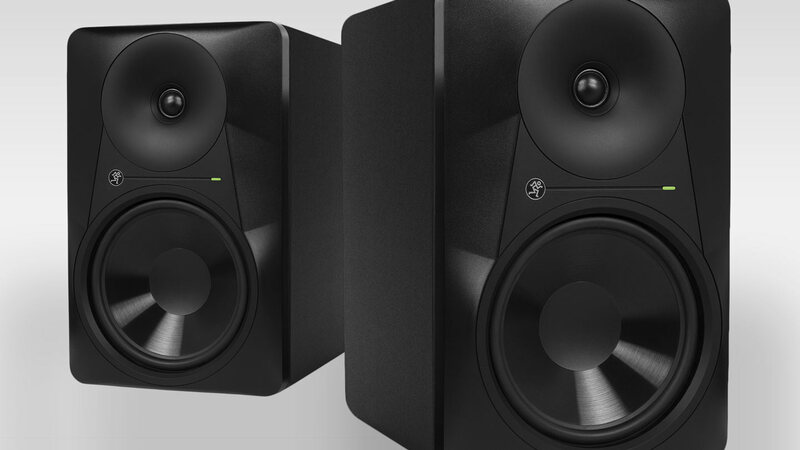 This results in a better mid-range sound and wider sweet spot. They also don’t have external heatsinks unlike many speakers they use a Class-D 56 Watt RMS amplifier that runs cooler. 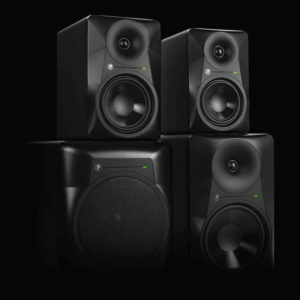 All these little tweaks result in a 3D sound, deep bass and a slightly more forward sound some might find fatiguing. 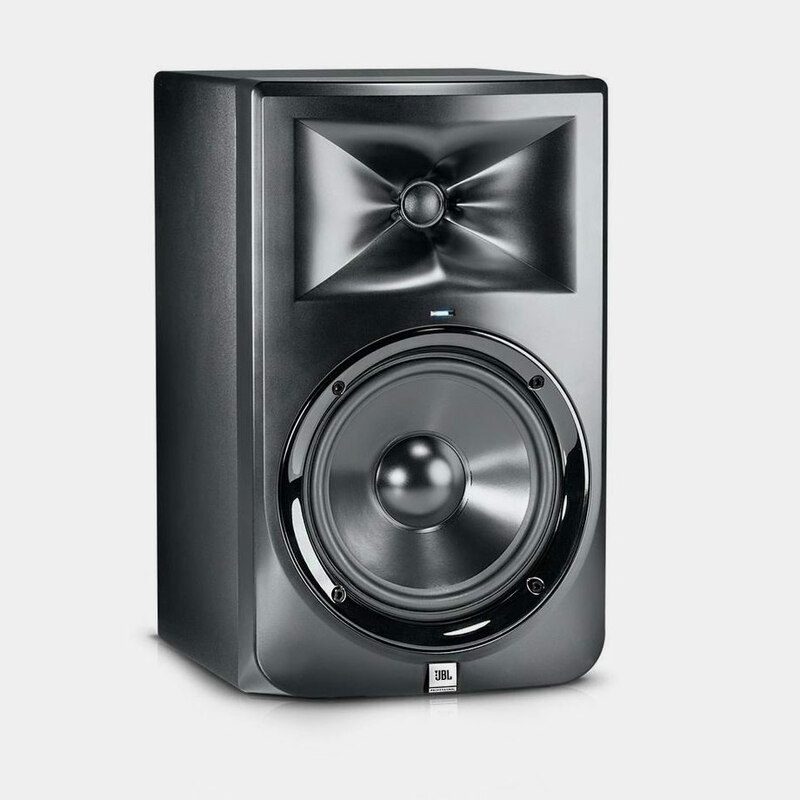 JBL have tuned the bass port and this does results in some smearing but not much more than most ported designs. 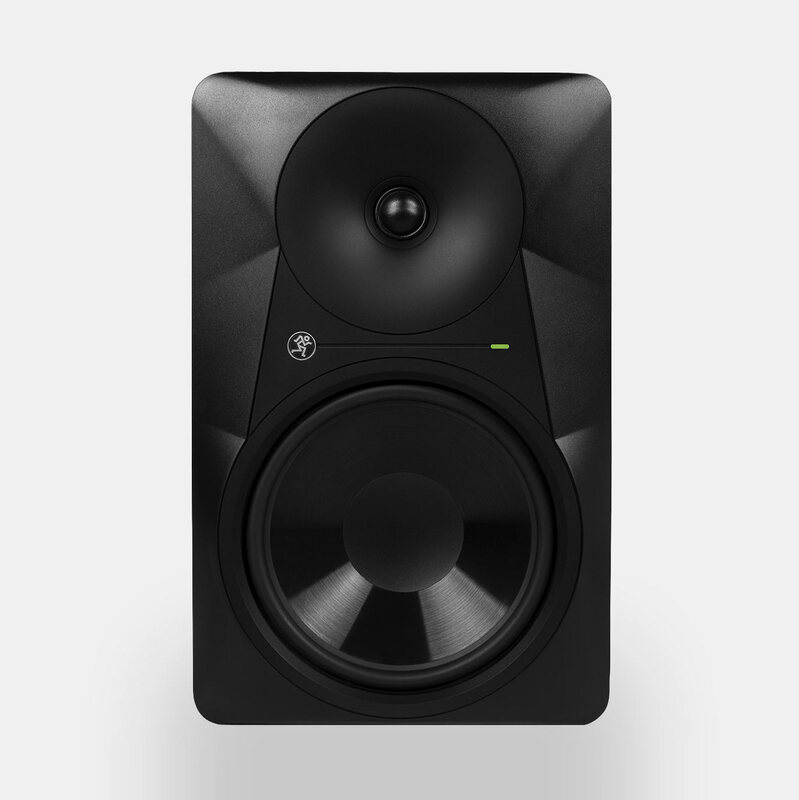 For the price, they represent some of the best sounding monitors out there and some of the issues can be forgiven at this price. 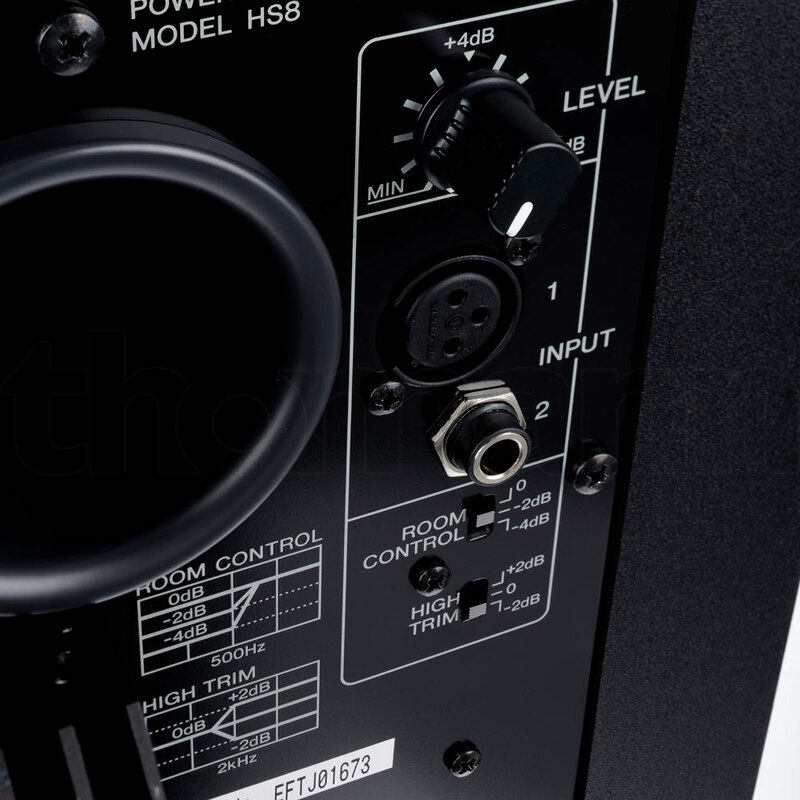 They feature Balanced XLR and ¼” TRS Inputs but no consumer RCA plugs unfortunately. I really like the look of these speakers too, the huge wobbly waveguide is unique. 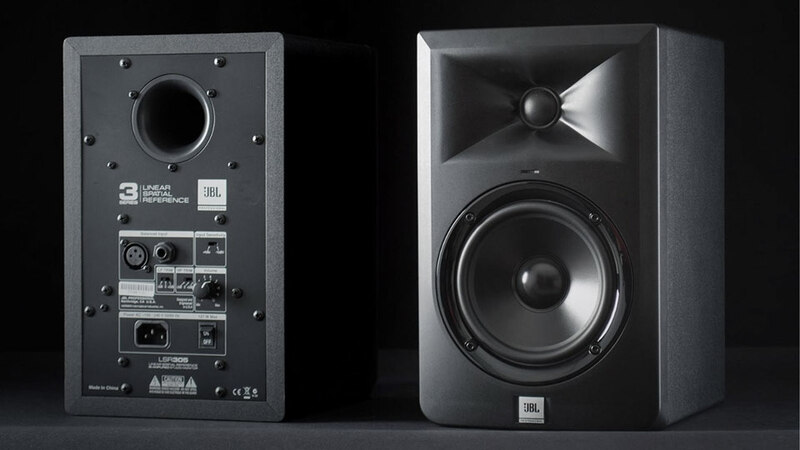 A new version is now available, the JBL 308P MKII. There is limited availability as of Jan 2018 with only minor changes there are soon to be bargains available on the old model. At less than half the price of the top-tier VXT8, the Rokit 8 G3 delivers a intricate, transparent sound, with a generous sweet spot. They’re great value for money for those on a budget. 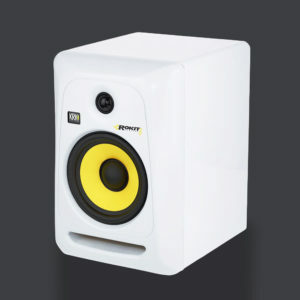 KRK improved the sound massively with this third generation extending the bass and improving the design. 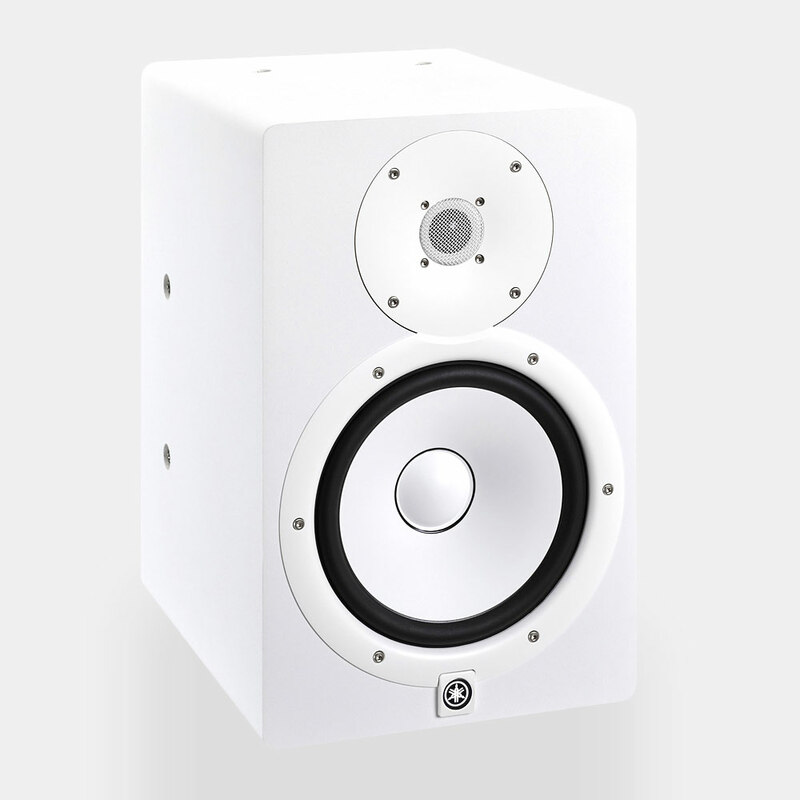 The front firing ports help in small studios by keeping the bass coupling the walls behind. There's lots of power here and can be cranked to impress clients. 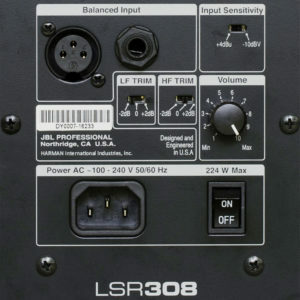 Loads of inputs including XLR, TRS & RCA mean they can be used with all types of equipment or Hi-Fi. Notched volume controls help you balance left and right speakers but you’ll still need a mixer or audio interface to control volume of playback. Despite a ropey reputation the RP8s do represent a compelling offer and punch well above their minuscule price. Mackie has a pedigree in medium sized studio monitors that started with the HR824. 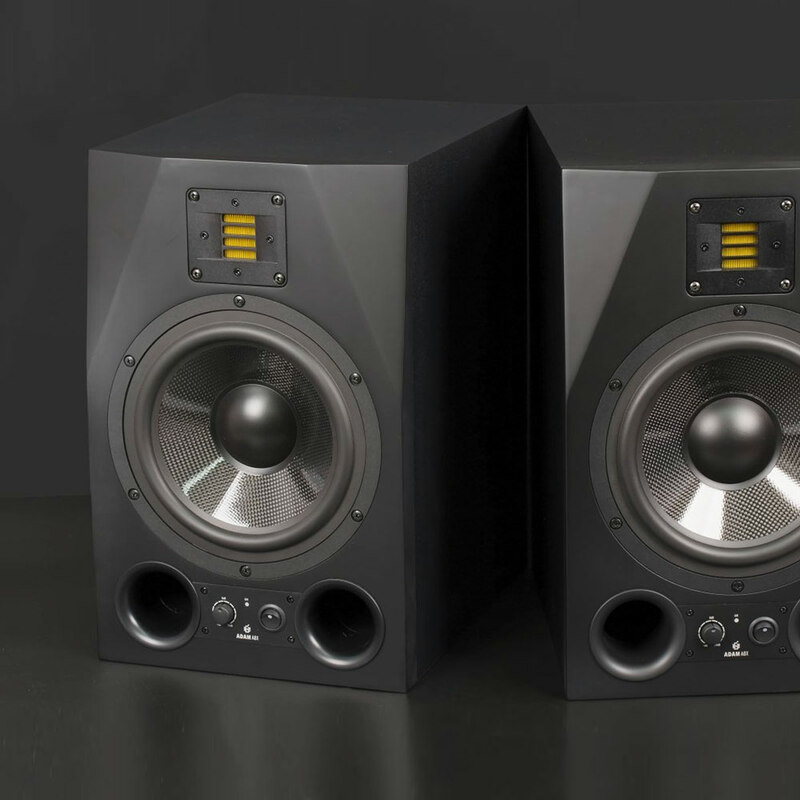 They were some of the first studio speakers to be THX certified and having personally owned and loved a pair, I can say they're amazing. 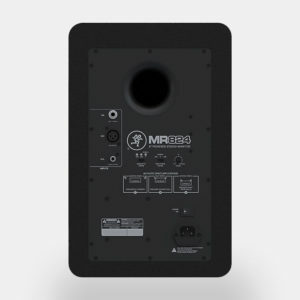 The MR824 represent a budget follow up that makes practically no compromises. The design is pretty amazing with no dust caps and huge tweeter waveguides, its all round a good looker. Construction is solid plastic and the sounds reflects that with sub all the way down to 35hz. If you need more there is an optional sub unit for even more volume. 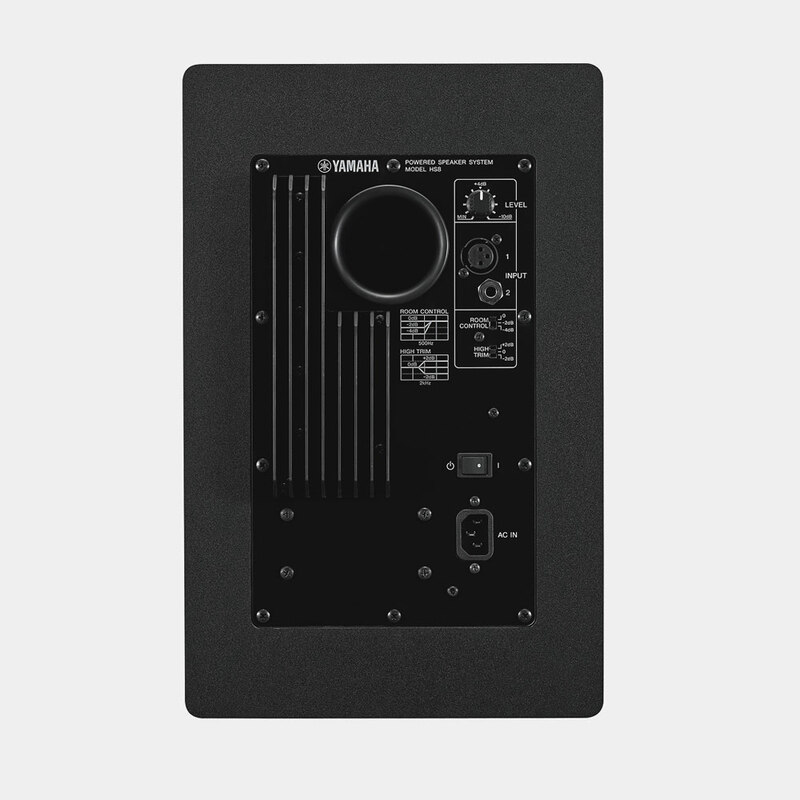 It has all inputs, XLR, TRS and 1/4 inch, and built in filters to adjust the sound to fit your room. You're really getting spoiled with such quality for this little cash! 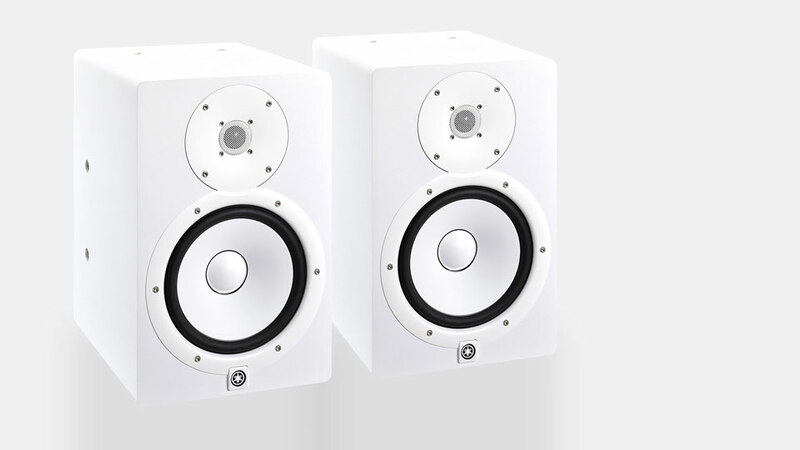 15.7" | 10.1" | 12.6"
Yamaha’s NS10 studio monitors were ‘the’ iconic white-coned speakers that graced every top studio at one time. That original speaker was the standard from the late 70s up until the late 90s. 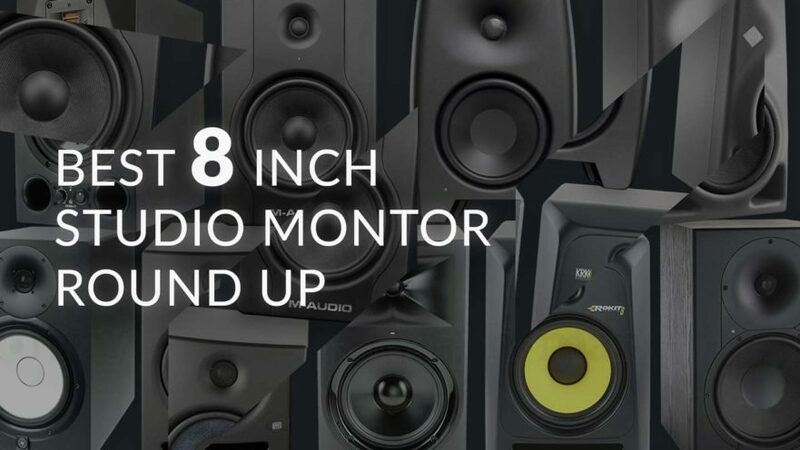 With the HS8 Yamaha has built on that reputation and developed a grown up monitor for modern demands. It took all the criticisms and made a bi-amped active version that has since become another studio standard. I love the unique white cone look and simple lines. 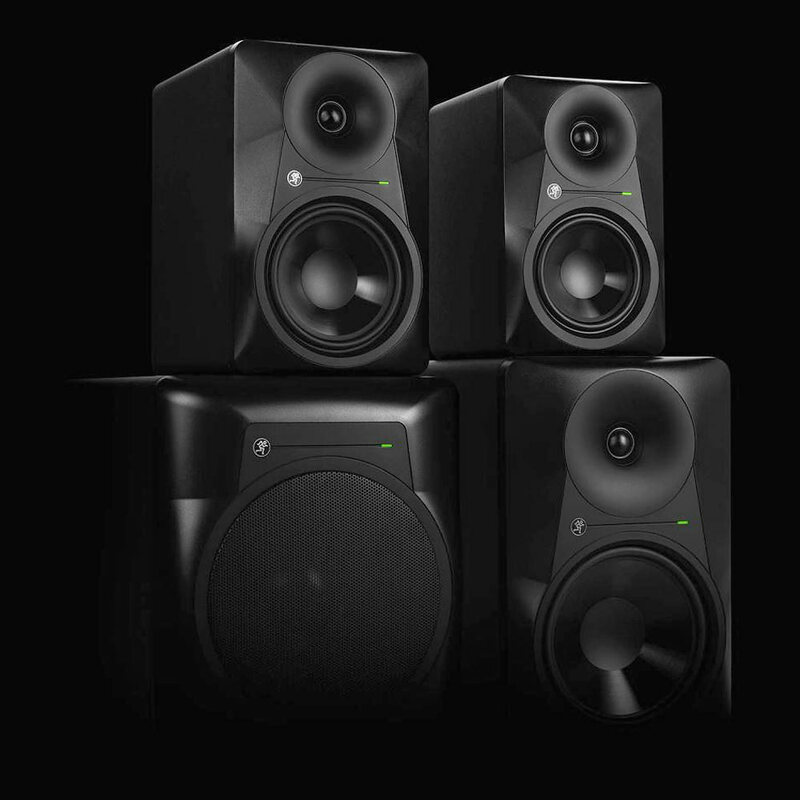 The HS8's are well constructed with the backing of such a loved brand as Yamaha. They sound very flat but not boring and mixing on them translates incredibly well on other systems. 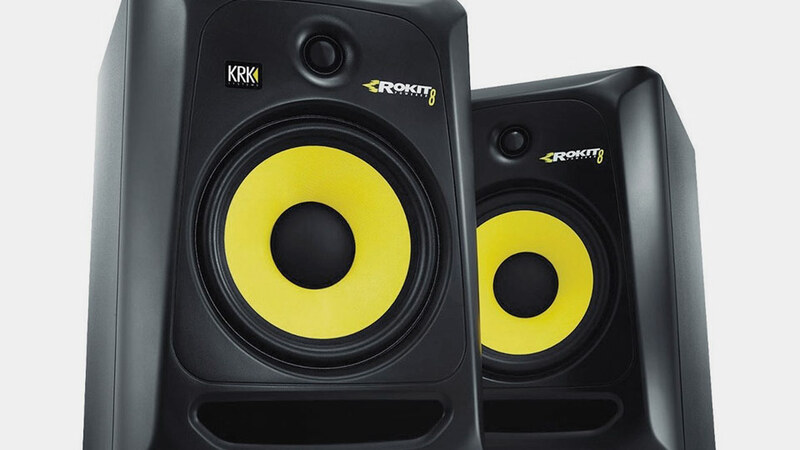 If you are looking for a second pair of speakers or are upgrading from entry level KRK rokit 5’s, These will really impress. 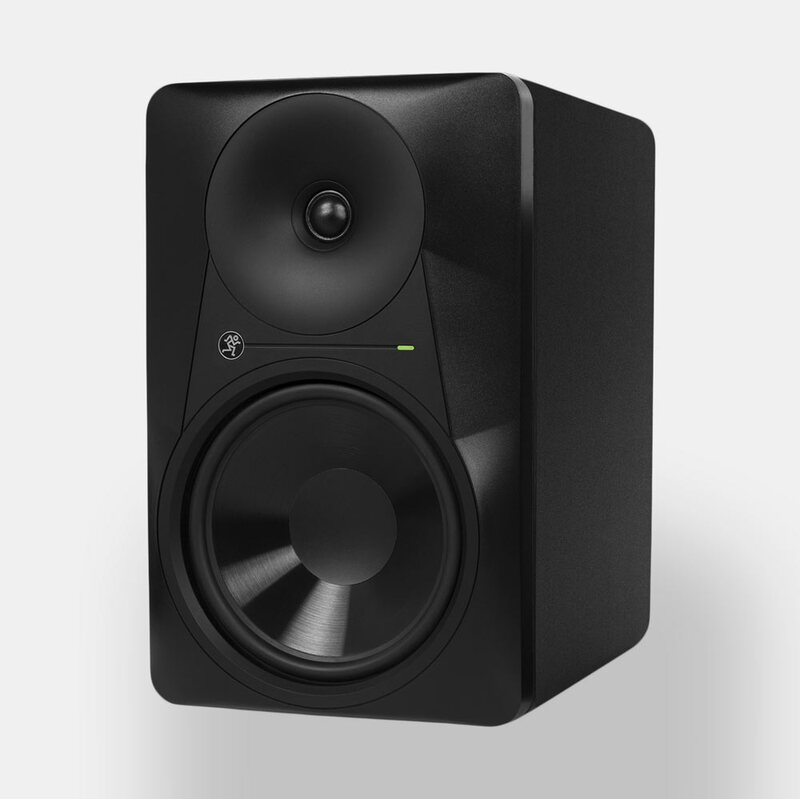 They go reasonably low at 38 Hz without being muddy, if you need extra low-end a paired HS8 sub is available. 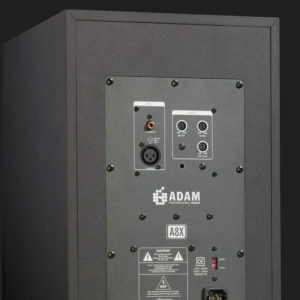 Adam Audio first burst onto the audio scene in 1999 and developed their unique ribbon tweeter technology allows for the reproduction of frequncies upto 300khz. 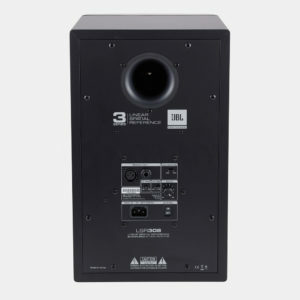 The folded ribbon tweeter design or Accelerating Ribbon Technology (ART) is important as it breaks up modes unlike a flat surface. You get a super wide sweet spot with the ART system and other benefits to efficiency including perfect phase response. 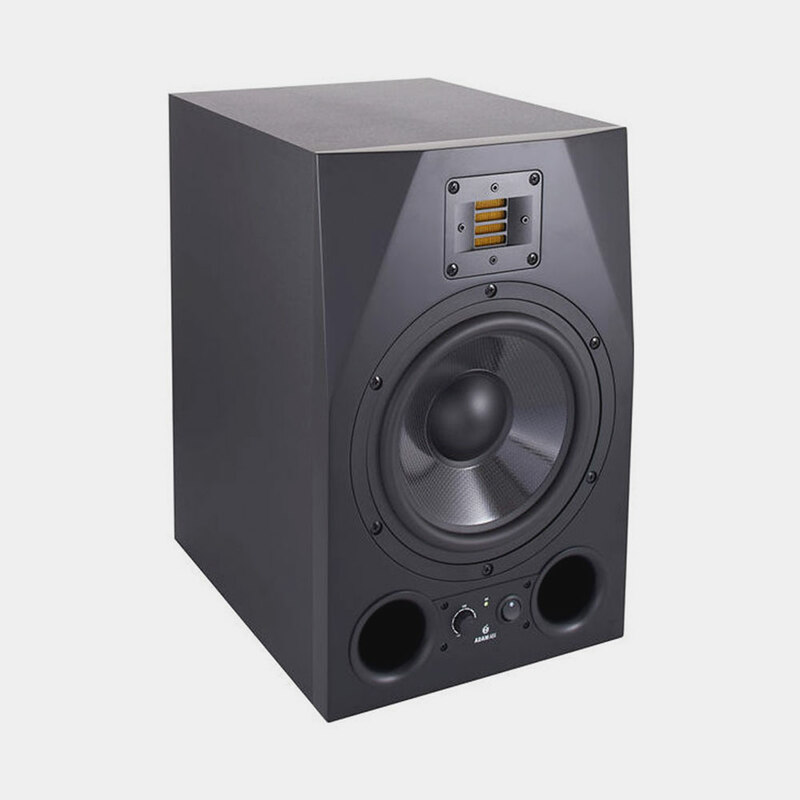 The 8 inch carbon reinforced woofer takes over low end duties below the crossover frequency of 2.3 kHz. 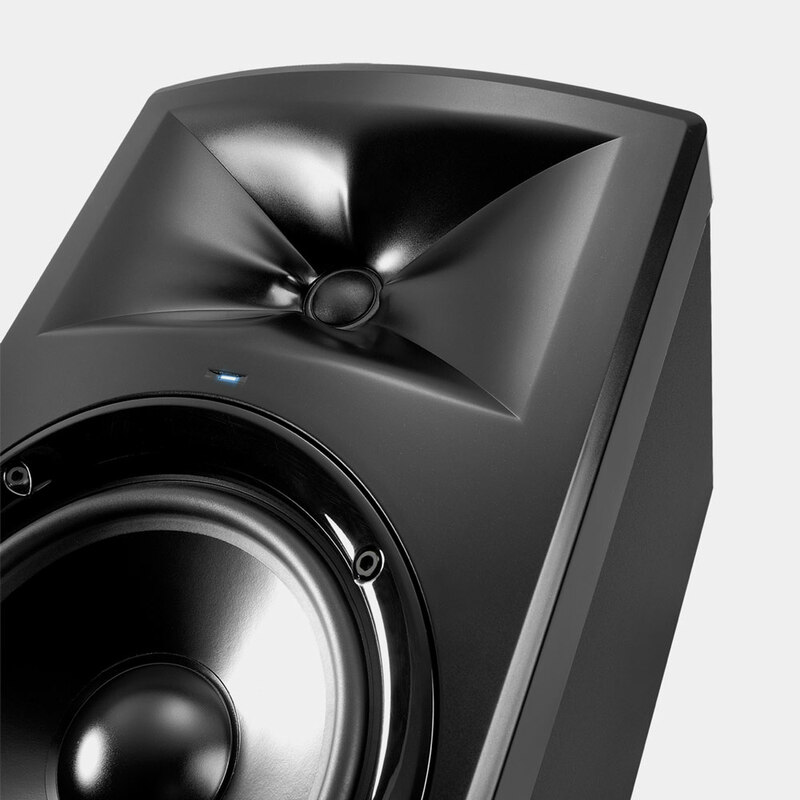 Its a dual front ported design with very capable performance down to 38hz thanks to it's lightweight cone. 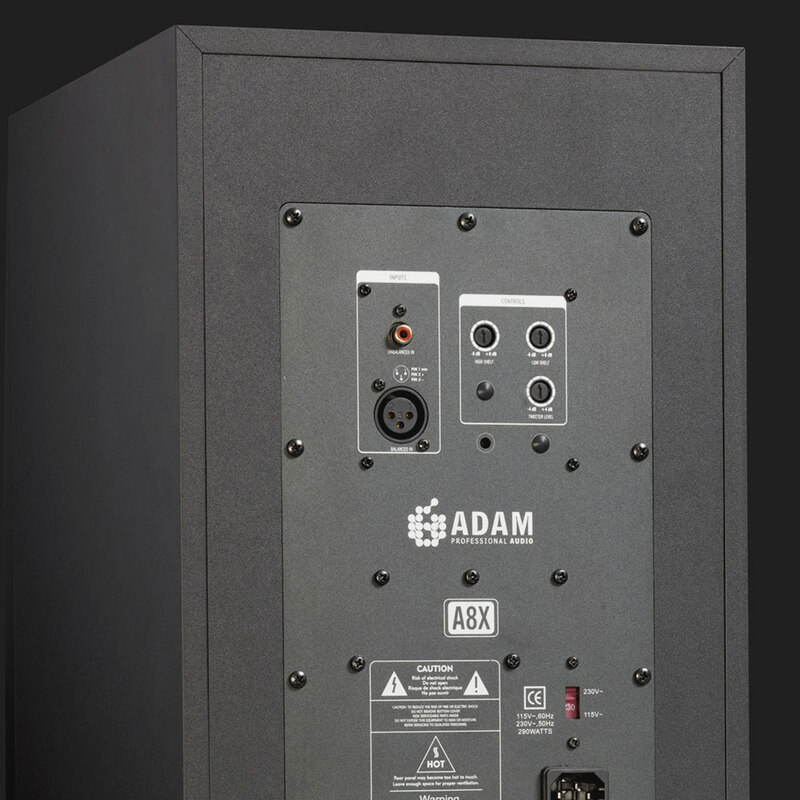 You shouldn't feel the need to add a sub, though Adam make a range of matching options. 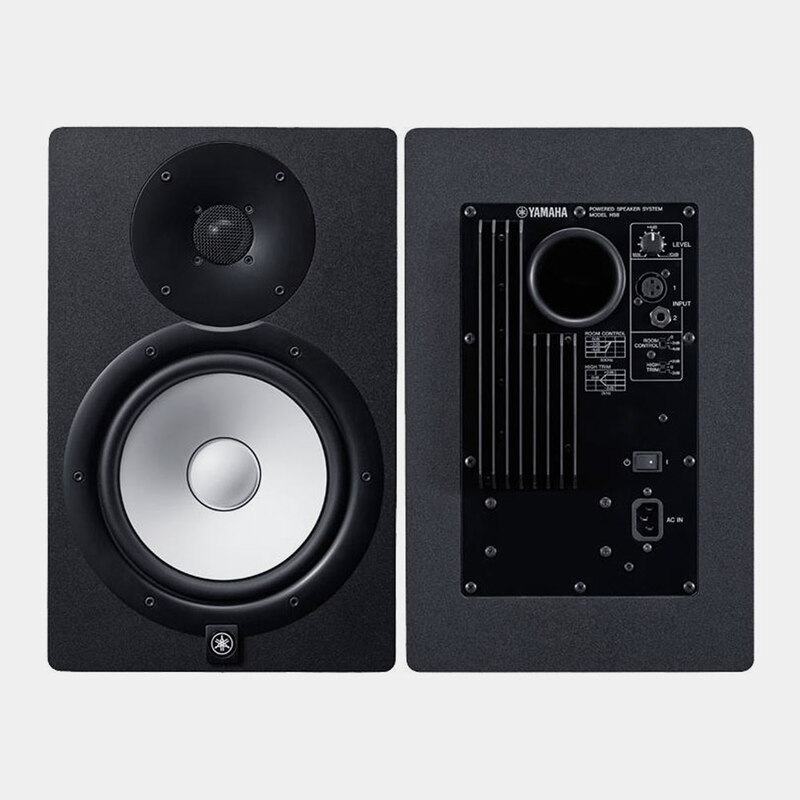 It's an active bi-amped deisgn with 150w RMS woofer and a 50w RMS tweeter amp enabling the A8X to generate impressive sound pressure levels of 120dB for both at one meter. 15.5" | 10" | 12.5"